I love kitchen gadgets. They are often unnecessary, but they are clever, fun and can make great host or hostess gift. 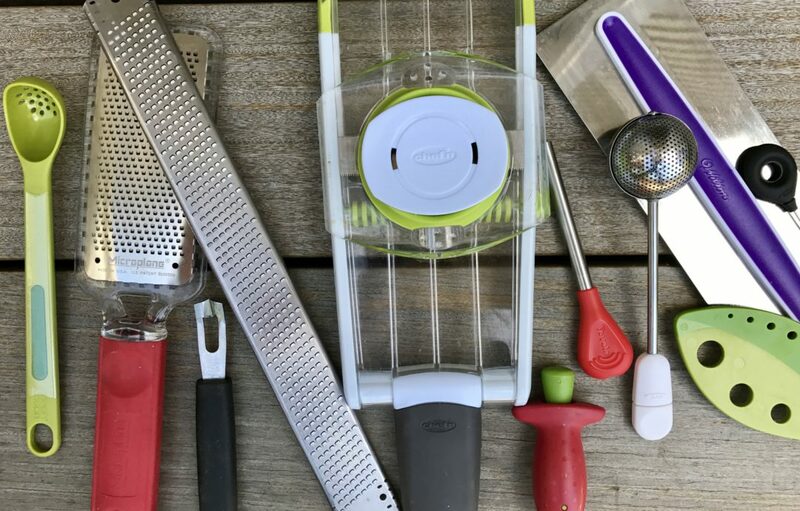 Below are a few of my favorite gadgets that I think are rather useful and even worthy of coveted drawer space in one’s kitchen. These kitchen gadgets are also easy to locate: most can be found at local cooking stores or on Amazon, and most are reasonably priced. This is my new favorite kitchen sponge. 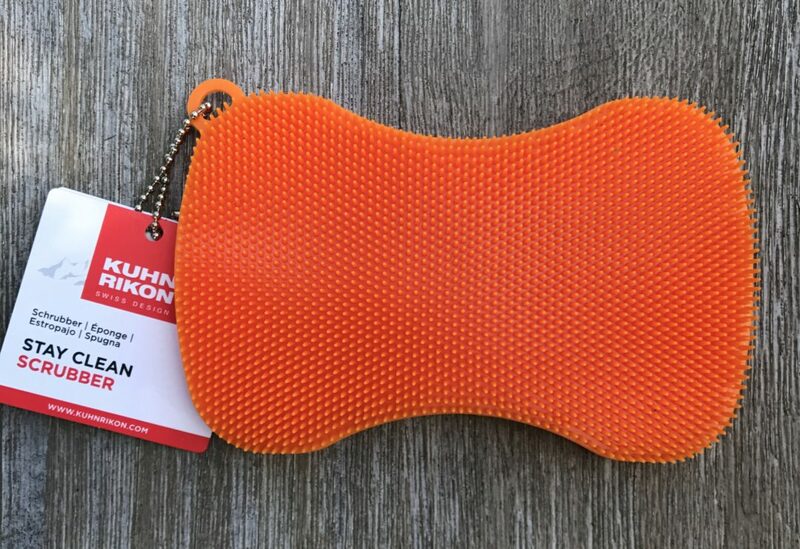 A non-porous silicone scrubber that dries faster than typical sponges and won’t harbor bacteria. BPA free, odor resistant, long-lasting and dishwasher safe. This awesome little sponge is safe to use on glassware and cookware alike, and it comes in a variety of fun bright colors. I like my coffee hot. I am the person who constantly microwaves her coffee to keep it hot. I recently discovered, and am now obsessed with, this new product. This mug solved my problem, enough to justify the price. 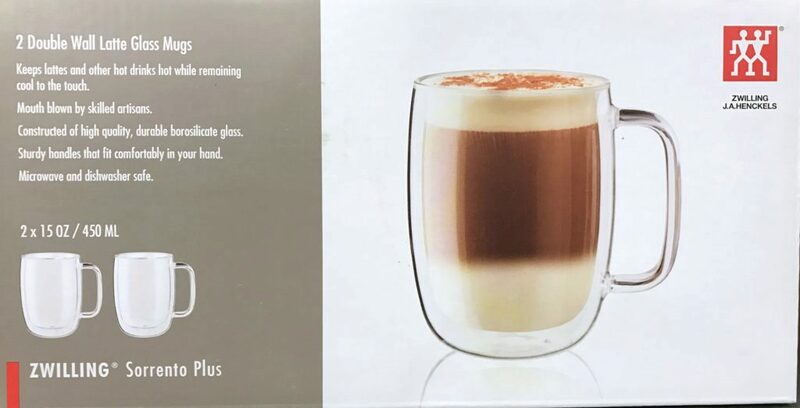 Designed by the well-known Italian designer Matteo Thun, the double wall construction maintains the temperature of liquids while remaining completely cool to the touch, unlike all other glass mugs. I prefer the larger latte size for coffee, but they make a variety of sizes with and without handles. They are microwave and dishwasher safe. The main issue when people cook with kale is that they do not remove the stems properly. You must remove the stems! 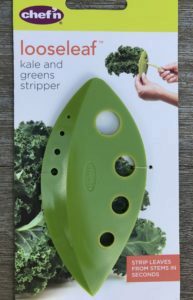 This handy little tool strips leaves from stems in seconds (and also be used on herbs as well). My kids love olives and pickles, I hate little dirty hands in jars. This is a great 2-in-1 utensil. 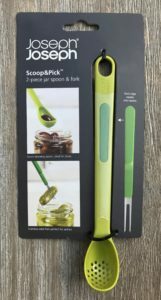 The first is a long-handled slotted spoon for scooping and draining olives, cherries, etc. 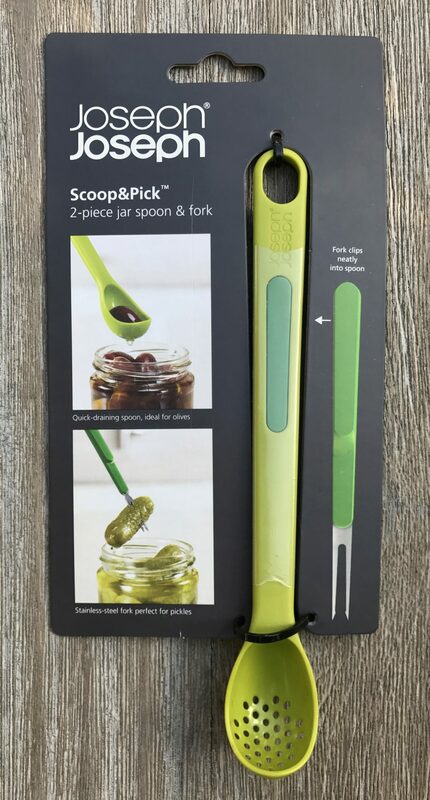 Stored neatly behind the long handle is a fork, perfect for skewering pickles, plus its dishwasher safe. This is a favorite of my husband’s for mixing drinks. An adorable silicon citrus squeeze that allows one to easily juice lemon and lime halves for cooking and cocktails, straining seeds and pulp in the process. Some people lose half their strawberry when trimming. 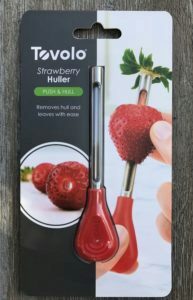 This clever little gadget pushes hulls and stems through the top of the fruit, preventing waste. This is especially helpful when hulling large batches for pies or fruit salads. 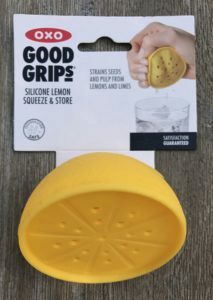 BPA free and dishwasher safe for easy cleaning. I am obsessed with this gadget. With a quick twist to open and close and a half-solid, half-perforated globe design, it allows for perfect dusting of your delicious deserts with confectioner’s sugar or cocoa–brilliant! Who does not need more kitchen storage space? This easy-to-use collapsible colander fits the bill. It feature large, high-efficiency drain holes, generous handles, and it stands on its own base. 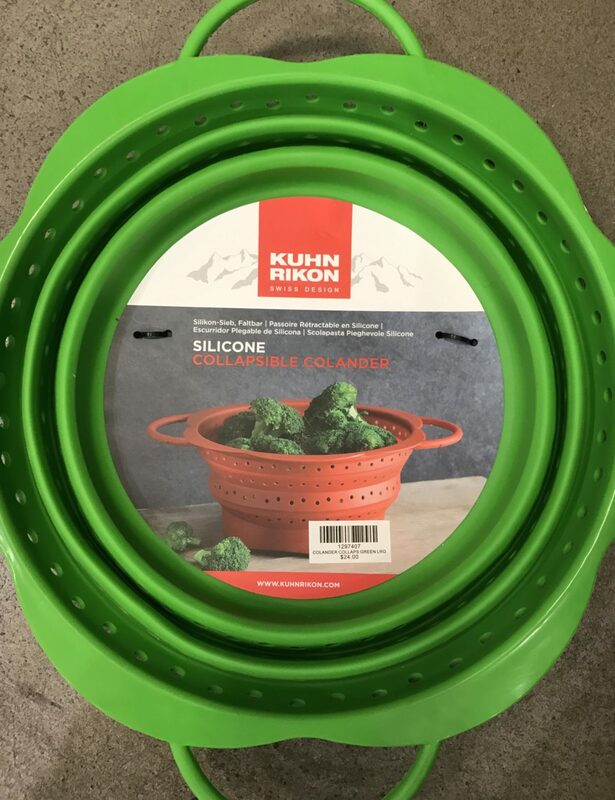 This useful colander comes in two sizes, as well as two color options. It too is dishwasher safe. 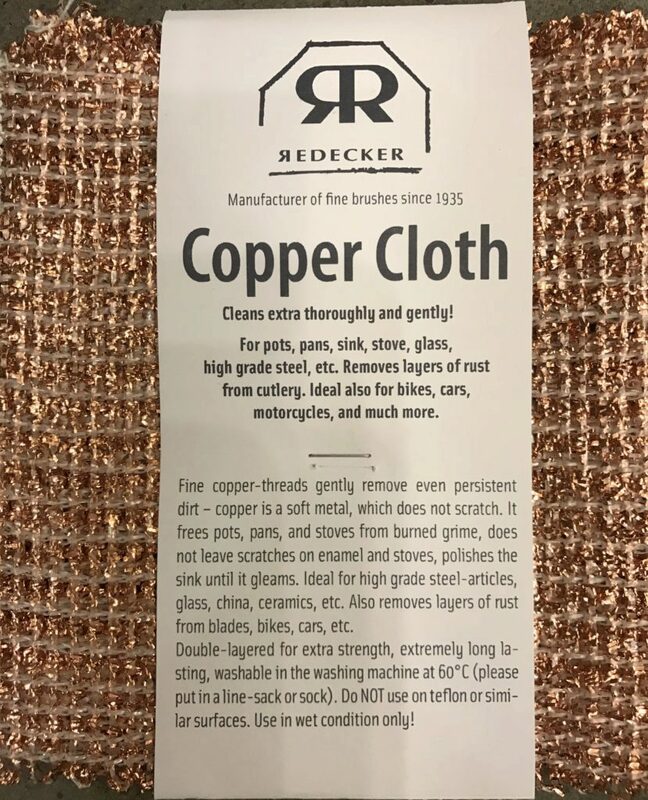 High-quality, long-lasting cloths with fine copper threads help thoroughly remove even the toughest stuck-on food, but they are gentle enough to not scratch most cookware (not suitable for non-stick cookware). Made with 100% recycled copper threads, they are considered “earth-friendly”. 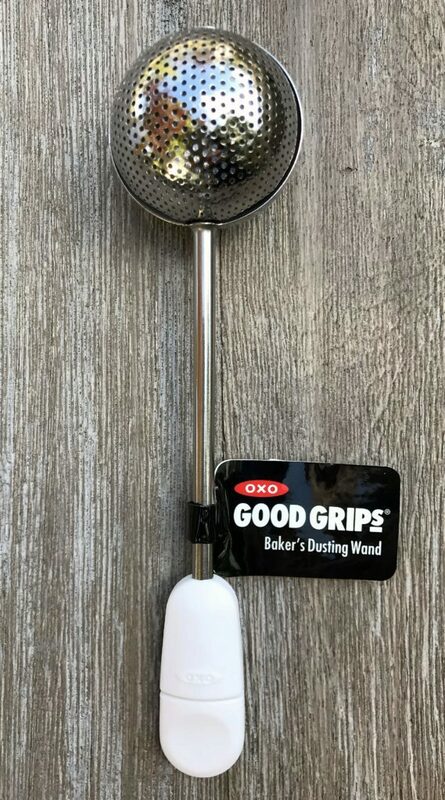 Great item for all the bakers you know. 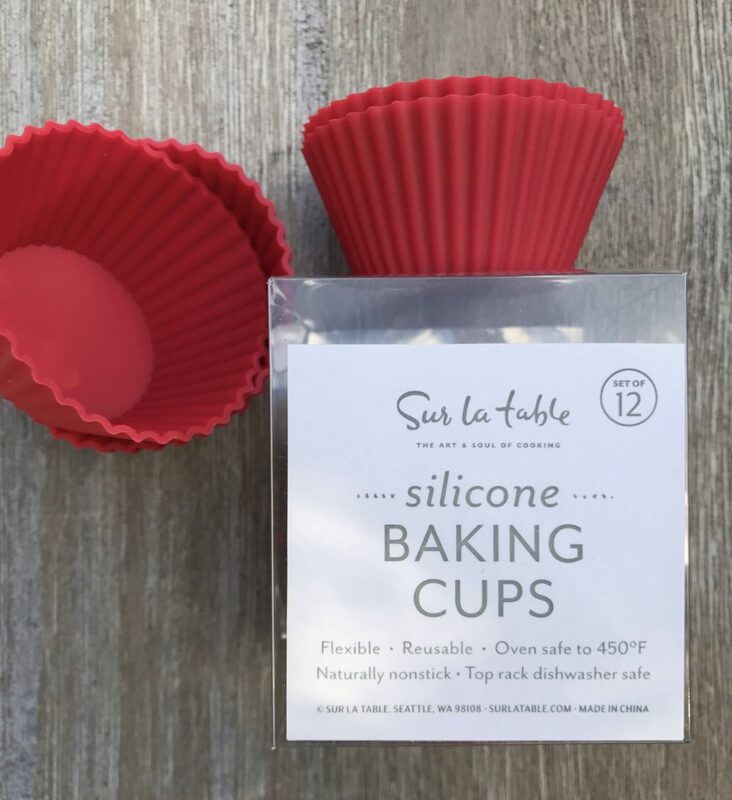 These silicone baking cups make an excellent alternative to disposable paper cups. Flexible and naturally nonstick, silicone completely releases baked goods with ease. These baking cups come in different sizes and coolers and are dishwasher safe. Who does not love popcorn? My kids could live on it. This silicone, collapsible microwave popcorn maker is just amazing. A healthy snack for the kids in just three minutes! It’s also dishwasher safe for easy cleaning. 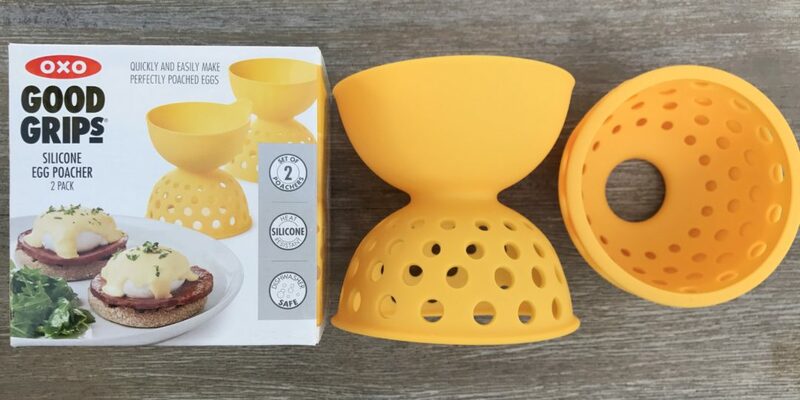 The high-heat resistant silicone body safely holds the eggs while the funnel shape guides them into the water to prevent the yolk from breaking. The hole pattern on the bottom optimizes water flow around eggs for even cooking. Sold as a two-pack, these cute little poachers are collapsible for storage and are dishwasher safe. I just printed out this page of gadgets and am off to Bed, Bath and Beyond to buy everything (except baking-related items since I do not bake). Can’t wait to use each of them! Gadgets! I love them. I really like the Lekue collection, but I am going to order those sponges right now! Excellent. That sponge was life changing!